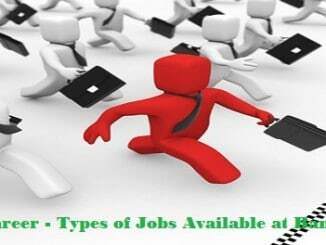 Banking jobs are designated on the basis of your performance in Bank Entrance Exams. Hence, the biggest worry for all the Indian youth looking forward to joining public sector banks have only one particular question in their minds – How do I Prepare for Bank Entrance Exams? Banking jobs are one of the top choices for the Indian youth once they finish their college studies as it offers job security as well as a secured future. As a result, so many people from all over India apply for the Bank Entrance Exams and prefer government jobs over high paying private sector jobs. With so many people applying for Banking jobs builds up a high level of the competitive atmosphere where only a few brightest among them top the bank exams as well as clear the interview. These bank exams are quite challenging and test most of your skills such as Logical Reasoning, Numerical Ability, Language, General Knowledge and Computer Knowledge. Hence, without a proper strategy or planning, you can't clear the Bank Exams. 1. Which Job to apply for? Just like every other organization Public Sector banks also comprises different job positions. Each job positions have a unique set of eligibility criteria, job profile, salary etc. Hence, the most important task before applying for Bank Entrance Exam is to determine which position you wish to apply for and make sure if you fulfil the criteria set designed for the Job profile. Study thoroughly about each Job profile and apply wisely. If you’re eligible for all the 3 positions then you can apply for all 3 of them by prioritizing them. Once you have determined the post or prioritize them in order, you must begin your preparations for examinations. 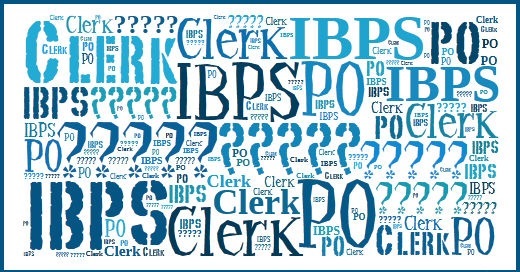 To make things smooth, a common written exam has been introduced by the Institute of Banking Personnel Selection (IBPS). With this common written exam, you can appear for a single test in order to apply for any bank recruitment program. In short, you can apply for all the bank recruitment channel by applying in a single Common Written Exam by IBPS. Many books are available in bookstores as well as on the internet to improve your skills in the above-mentioned topics. To improve your general awareness or general knowledge, you must follow news daily as well as read newspaper regularly to keep yourself updated on the day-to-day activities or incidents. As the subjects or topics are the same for Clerical, PO or Specialist Officers, you can prepare for all the 3 exams at once. Clerical and PO exams are conducted twice every year while Special Office is conducted once a year. Hence, there is an ample amount of time to prepare. To secure a banking job, just qualifying and passing the exam is not enough. Keeping the competition in mind, you must score high marks in order to build your chances and stay ahead of the competition. To secure high marks, the guru mantra is practice. The more you practice for the exams beforehand, the more confident you become while giving the exam. Join a Coaching Center: With the competition rising among the applicants pursuing banking jobs, many different coaching centre for bank exams have emerged in every city or town. These coaching centers hire qualified and well-experienced trainers who can help you prepare for bank exams. They will train you to solve doubts quickly by making you attend regular mock tests and give you tips to finish the test in a quick time. Although it may have cost around Rs. 6000 to Rs. 10000, it’s worth every penny if you could secure a bank job. Indulge in Self-study: Those who don’t want to spend much on a coaching center may switch into self-study mode. Unlike coaching centers, while indulging in self-study, you will be depending on yourself instead of trainers to prepare for bank exams. Today, most of the information and study materials are available online which can help you prepare and study on your own for the upcoming entrance tests. Refer Books, Previous Question Papers & Guides: The best way to prepare for Bank Entrance Exams is by referring to books as well as studying previous year’s solved question papers & guides or workbooks. Such books, guides or Question Paper Solutions are easily available in bookstores which can help you prepare easily from your home. The cost of these books can range anywhere from Rs. 100 – Rs. 1000. You can buy these books on the internet too. The time frame is very essential. To answer questions within the given time you must find easy methods or frame shortcuts by thoroughly analyzing the exam pattern. Boost your confidence while appearing in the entrance exam with regular practice. Set alerts for upcoming bank exams & job requirements in order to obtain general information about the specific banking organization you’re applying for. To get an idea about the possible cutoffs and required scores, you can refer to the previous year’s results. Such an analysis will help you determine the right score you need to achieve in order to qualify for the final round interviews. You can’t take Bank Entrance Exams lightly and must prepare thoroughly beforehand to secure high scores. With some practice, proper planning and referring to necessary books, you can easily clear the bank exams with flying colours. nice tips. These tips are helpful to clear bank exams.